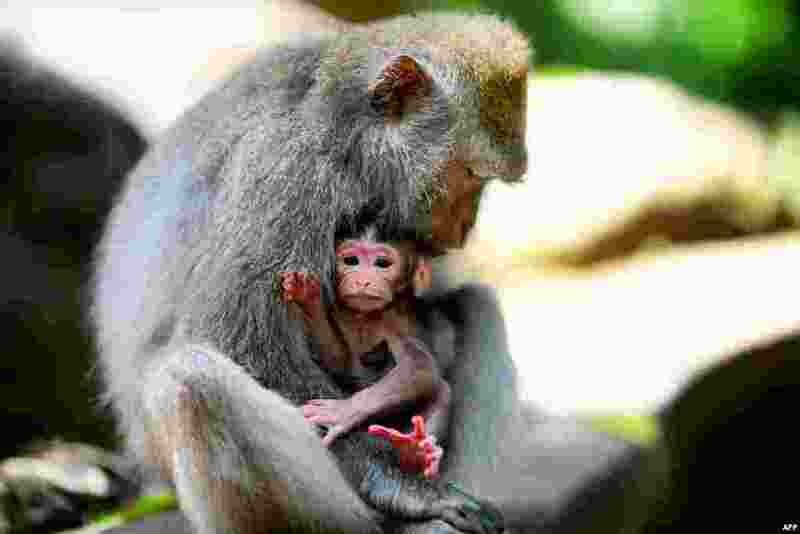 1 Balinese long-tailed monkeys, Macaca fascicularis, are pictured at the Sacred Monkey Forest in Ubud, Bali, Indonesia. 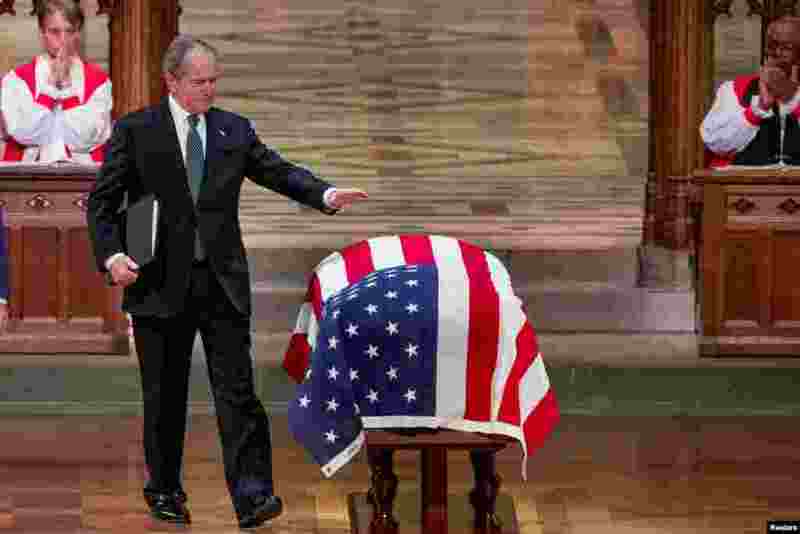 2 An emotional former President George W. Bush, the 43rd president of the U.S., touches the flag-draped casket of his father, the nation's 41st president, George H.W. 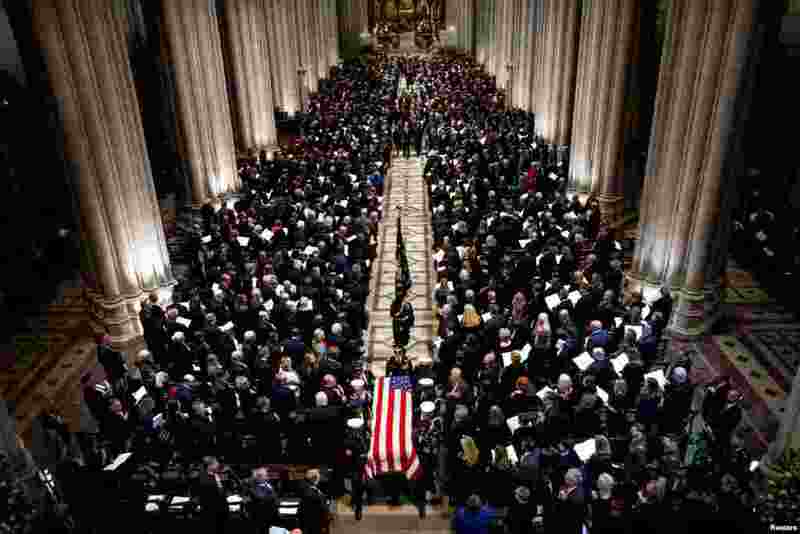 Bush, after speaking during his state funeral at the National Cathedral, in Washington. 3 The Honor Guard carries the casket of former president George Herbert Walker Bush down the center isle following a memorial ceremony at the National Cathedral in Washington, Dec. 5, 2018. 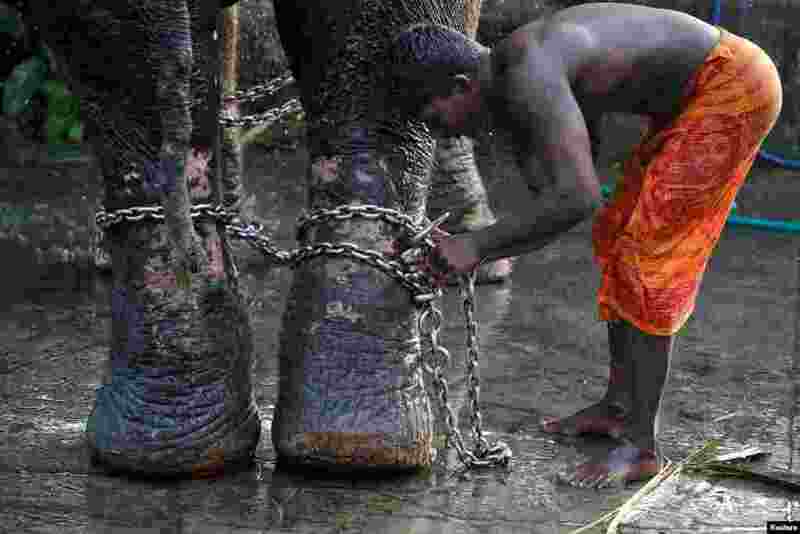 4 A mahout ties a chain around the legs of his elephant during the annual eight-day long Vrischikolsavam festival, which features a colorful procession of decorated elephants, along with drum concerts, at Sree Poornathrayeesa temple in Kochi, India.